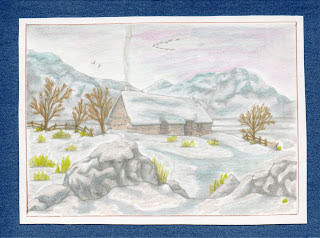 We are carrying on with our second week of the "Snowy Cottages" scene challenge. Our sponsor this month is Delicious Doodles and they are giving the random winner 4 digital stamps of their choice! Here is the wonderful work of the design team for your inspiration! Have a go at the Snowy Cottages challenge and don't forget to check out the Delicious Doodles images.